If you were to trust all the HGTV or DIY Network shows, you would probably think that home remodeling is something that can be done in less than 30 minutes. Unfortunately, we all know that is not true, and that a project of such scale requires plenty of your time and money, and quite honestly, that it can often challenge your sanity. The complexity and difficulty of remodeling is not something to be avoided. It is something to be understood and dealt with accordingly. This guide will help you succeed in that and minimize the renovation-related stress as well. Starting a renovation and just going with the flow can lead to numerous mistakes that can eventually cost you a fortune. That is why you need to plan everything to the tiniest details. The planning process usually starts with something as simple as a sketch on a napkin, and it later develops into true architectural plans. The specific plan will also help you establish a budget and an approximate timeframe for your renovation. Some projects are more demanding than others, and they need to be done first, because they impact the following smaller projects. 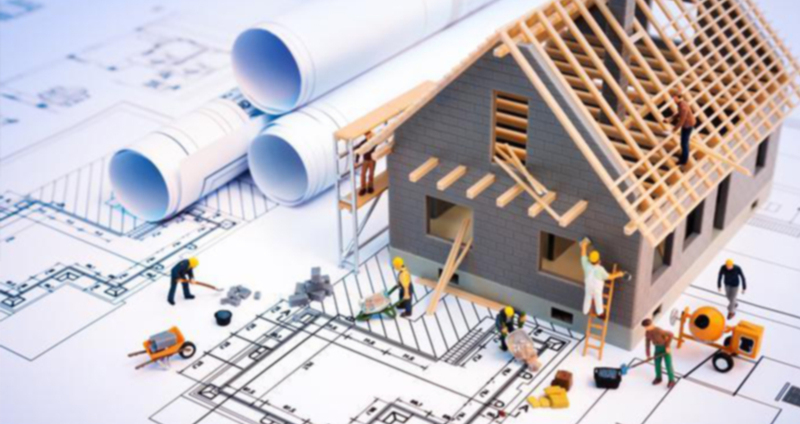 Are projects as roof replacement, structural repairs, foundation securing, window replacement, siding repairs, demolition, and similar a part of your remodeling plans? If they are, prioritize them in terms of order and money. When doing a renovation, most people forget about the importance of dealing with the outdoor space. This is a great opportunity to boost the curb appeal and improve the appearance of your backyard. The changes you make do not have to be huge, but you do need to think about them before you start remodeling. The reason behind this is that the decisions that seem easy to you now, might take more time than you may think, and slow down the entire renovation. This is the case with choosing a good pool paint, because you need to consider the hue, the quality, the maintenance, durability, etc. When remodeling, we are often focused on aesthetics more than functionality. This is something that can seriously affect your budget and the purpose of remodeling. You shouldn’t forget the vital features such as HVAC ductwork, plumbing, electrical installation, insulation, and drywall. Decisions such as choosing the interior paint, hanging wallpaper, furnishing, introducing fine carpentry, painting the molding and trim and then staining and sealing, as well as choosing flooring and other finishes, are important, and they depend on your style and budget. The most essential thing to know is that they should create a cohesive interior. One of the most important factors for the success of a renovation is your choice of contractors. This is not something you should try to save money on, because going cheaper at any cost could end up breaking your entire budget. Make sure the contractors have good reviews and ask them to give you recommendations. Also, you shouldn’t be asked to pay all the costs in advance, this is a demand that should raise a red flag. When you are in the middle of remodeling, you need to get accustomed to the mess. There is no point in getting mad at your contractor, since this is inevitable. Instead, you should get organized and clean regularly, but not the parts where the works are in progress. Also, by protecting the furniture and the floor with a protective tarp and removing the drapes and other sensitive items, you will save yourself a lot of effort in the future. If the works are pretty extensive, you should find a place to stay (at your parents’ or friend’s house or in a hotel). Renovating your home is challenging, but if you plan everything from organization to cleaning, it can be less painful. These tips should help you succeed in that.